As I've previously posted (here, here and here), I attend Fashion Week every season to see what's hot, and also to support some of my designer friends. I always have a camera with me, so if I ever see something I like, I take a photo of it... this happens a lot during fashion week! Aaaaaaanyway, I was having lunch with my friend Sasha Wilkins, of Liberty London Girl fame a couple of months back, and she suggested I should give my fashion week images some sort of showcase, and you know what, she was right! Two seasons ago, I was very good at blogging all my images every night after I got in, but last season I became pretty lazy about it. I shoved them all on Facebook, with a few on my Photo Diary, and that was that. So if I was going to do this, it needed to be simple and straight forward to update. Of course all of this means finding some sort of CMS driven website with a simple backend, and that means finding a developer to help turn my ideas into a working site! Thanks to Twitter, finding a developer wasn't so hard, and Matt from MSR Creative has done a fantastic job! Armed with just my vague ideas and some Photoshop concepts, he's managed to build me a website that enables me to just simply drag and drop images straight into the site. Perfect for my lazy arse! 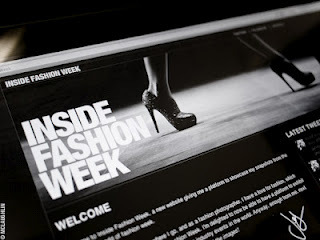 So it gives me great pleasure to announce the launch of Inside Fashion Week! 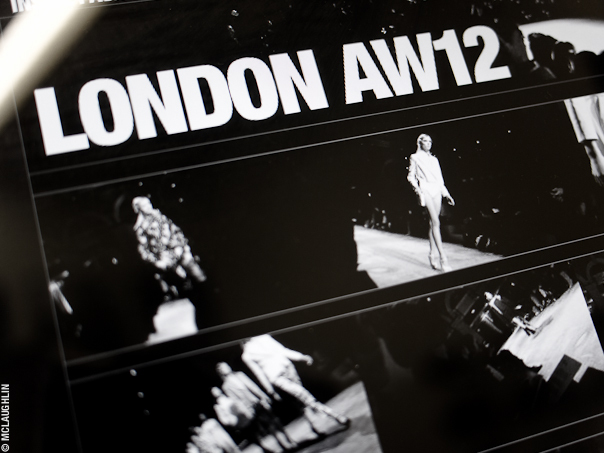 A showcase of my photography, giving a small insight into the hidden world of Fashion Week. At the moment, the site is in a kind of Beta stage. There's a lot more functionality to be added to enable the site to be a bit more interactive and give it scope to grow over the coming seasons. I'd be very interested to hear your comments on the site and what you'd like to see added in terms of functionality, so make sure you leave a comment below!